whether they are richly stained or painted, wood blinds are one of the top selling window coverings on the market today. 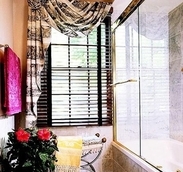 wood blinds offer a warm and inviting look to any decor. 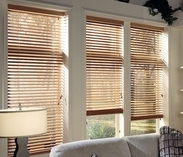 wood blinds are the modern alternative to shutters. 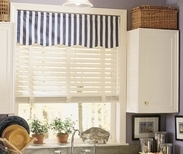 wood blinds may be made with either stained wood or faux wood. 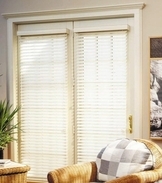 all our blinds are custom fitted to fit on any size window whether it's inside mount or outside mount.